Apparently the only time Phyllis Diller enjoyed ironing, was the day she accidentally put gin in her iron. 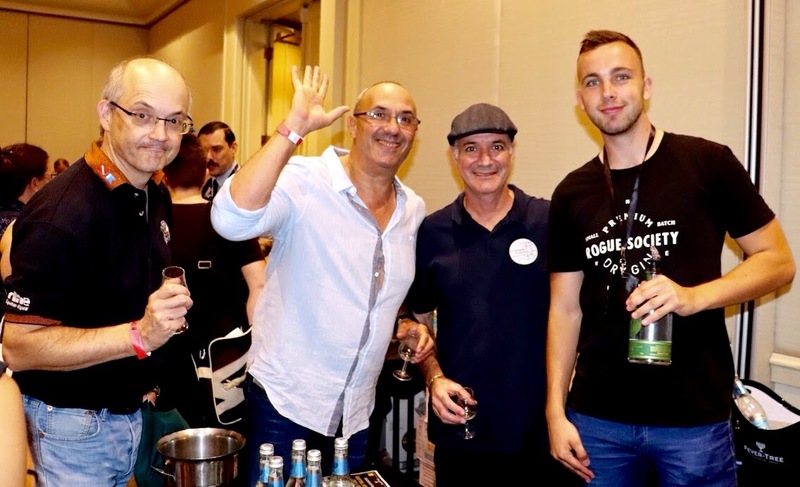 She would have had a ball at Gin – The Show: Sydney’s brand-new inaugural specialty gin extravaganza, orchestrated and curated by the heads behind Alchemist Events, an entity whose founder David Ligoff has been organizing events in the realm of quality libations for the last three decades. Incarnating for the first time at the Stamford Plaza Hotel, distillers, bartenders, and sales reps were on site to proffer the alcoholic liquor, which is obtained by distilling grain mash with juniper berries and infused with botanicals and other additions. Equipped with a tasting glass, H2O and a bottle of complimentary of FeverTree Mediterranean tonic, attendants were able to sample from an array of over one hundred variations of the clear spirit ranging from local boutique craft distilleries to internationally renowned heavy hitters and learn a thing or two about the alchemy the is channeled to create the spirit as well as its historic roots as a medicine of the herbal kind. 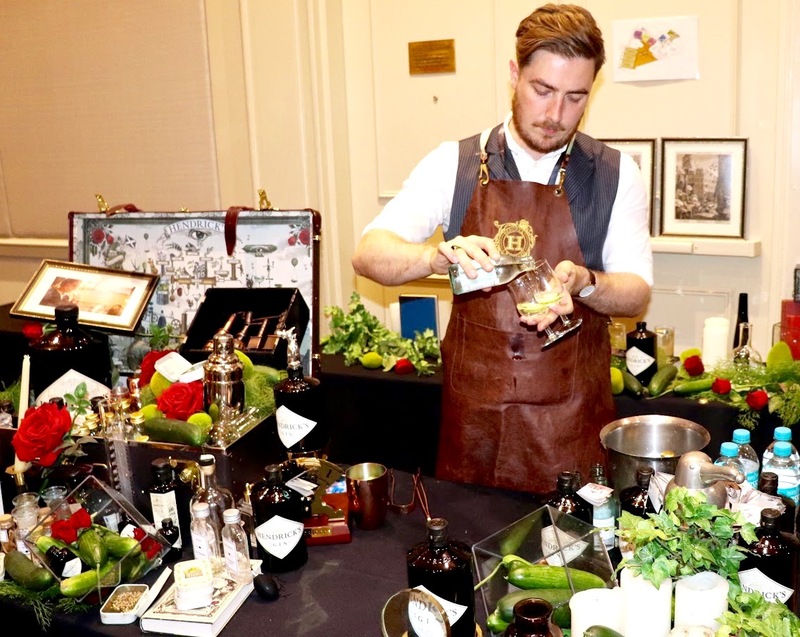 Apart from individual brands offering their emissions mixologist extraordinaire Ben Davidson crafted four customized gin cocktails, including a Tom Collins, New Orleans Fizz, Dry Martini and the classic Negroni at a designated bar area. Exiting through the gift shop, gin was sold in all shapes and sizes for one-off show prices. Tasmania’s Lawrenny’s naturally fresh Diemen’s Gin with its refined herbal and citrus notes that are accentuated and by the pure waters of the River Derwent. 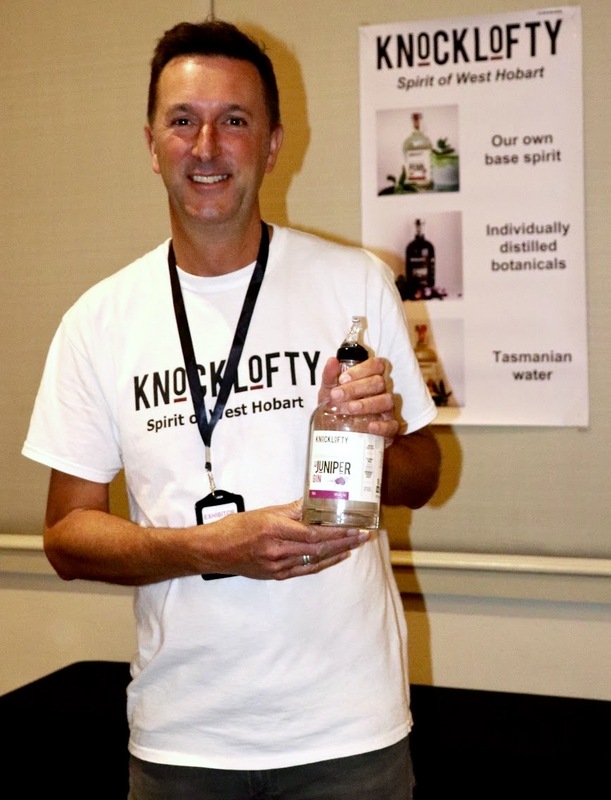 Another highlight from Tasmania came courtesy of the boutique distillery Killara, one of the few distilleries worldwide to be owned and operated by a female. Kristy Booth is overlooking operations and ensures that all products are being made and bottled by hand. Killara’s Apothecary gin is a small batch, hand crafted gin made by individually distilling a range of botanicals then marrying them together to produce the tipple. With a percentage of the proceeds of each sold bottle being donated to a charity, drinking becomes purposeful. We already covered Archie Rose as part of the recent Time Out Bar Awards, where one of their staff was awarded the “Best New Talent” Award. Utilizing copper shipped in from Scandinavia and fabricated to their specifications and other self-made equipment, their signature Dry Gin is a thing of beauty: Enriched by fourteen native botanicals, Archie Rose’s emission is well calibrated and complex with hints of pepper, lime, myrtle and mint. Musgrave 11 Gin is no ordinary spirit – it is one hell of an artisan gin that is not for nothing celebrated for its top notes of Cardamom, African Ginger and Grains of Paradise, which makes it reminiscent of the perfume of spice markets. The aroma is woody and forest-like and the flavour is inviting, peppery warmth without the harshness of black pepper. The woody character gives way to cloves, cinnamon and a faint hint of cardamom and leaves you with a gentle flame. While Musgrave 11 scored high, Musgrave’s Pink Gin is the more subtle, refined little brother: Toned down to be gentler and less spicy and to bring out the floral of the rosehips and the infused rosewater. A well organized and curated event that had something to offer for both newcomers as well as gin aficionados.